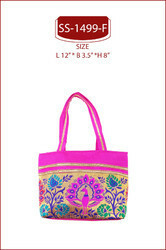 - This gorgeous designer potli bag is made of beautiful embroidered lace, and brocade cloth. A truly stunning accessory that will lift your ensemble to another level. From GiftPiper, the portal for handmade, unique products from all over india. 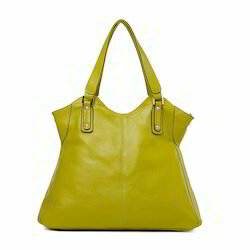 Our precious clients can avail world class collection of Fashion Bags that are available in many specifications. They are eye catching and high in durability. Size: 12.5 x 17.5 x 3 cms. As sling or shoulder bag. We offer exclusively best quality range of fashion bags with variety of designs, patterns and color combinations. Presenting a beautiful sling crewel pouch for you. It is embroidered with traditional aari work with beautiful designs in hues of green and yellow. It can be used for multiple purposes. The long sling comes in plain colours. Kashmir Kit presents a wide range of crewel bags, pouches and carry bags with quality material and stylish look.